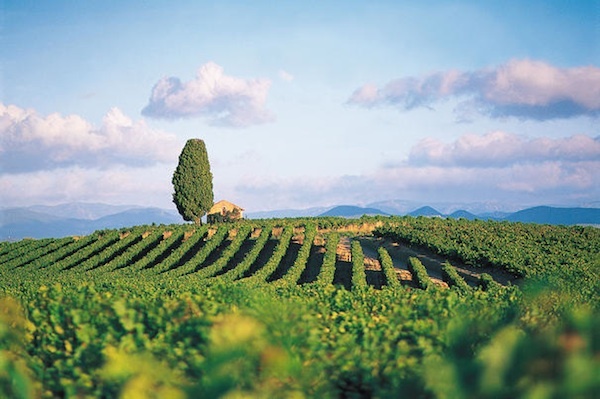 The Languedoc-Roussillon region boasts exceptional wines from 15 different grape varieties. Dry AOC wines include Côtes du Roussillon, Côtes du Roussillon Les Aspres, Côtes du Roussillon Villages, Caramany, Lesquerdes, Tautavel, Latour de France and Collioure. Vins Doux Naturels (fortified wines) include Rivesaltes, Muscat de Rivesaltes, Banyuls and Banyuls Grand Cru, and Maury. What could be better than a day spent amidst rolling vines, traipsing through beautiful wine domains and sipping on the finest wines? Wine Tours are a booming business in the Languedoc-Roussillon, and for good reason. This area of France is Europe’s (if not the world’s) most exciting wine regions, with wine-makers from the new world flocking here to combine innovative new methods with the region’s centuries-old ‘terroir’. We offer superb wine tasting tours and our itineraries our tailor-made to suit you, often combining wine tasting tours with food tasting too, stopping to sample delicious French cuisine! This is a unique opportunity to taste undiscovered wines and explore centuries old wineries as well new ones. For more details and prices please fill in the form below with your requirements. Need somewhere to stay? Themed Holiday Ideas also offers a “Direct from Owner” rental opportunity in the areas our themes are taking place. For details you can find properties on our home page and the search property box facility, or simply fill in the contact form below stating your requirements including dates, and number in the party, and we will recommend them to you. We look forward to booking you on that perfect wine tasting holiday!